Beautiful premium rich color of Granite ,with Stainless Steel Under mount Sink in the Island , Also a unique design white under mount Farm Sink for the kitchen . Beautiful kitchen design , And Granite color matching with the kitchen cabinet color . 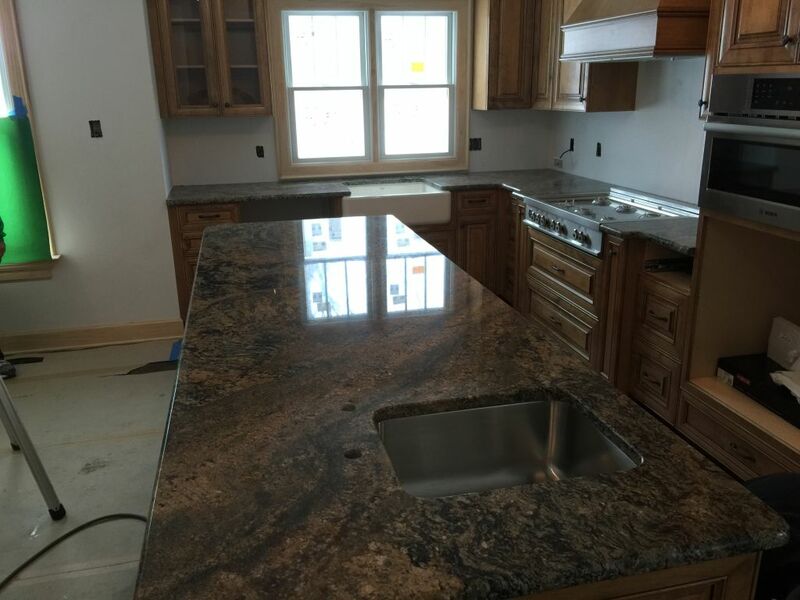 It is one of the most beautiful Kitchen Granite counter top in the area .